Two young people come face to face with the trials and tribulations of life and love. 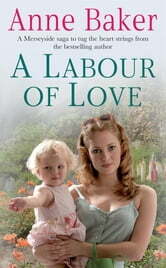 Anne Baker's A Labour of Love is a heart-warming saga of family ties, romance and finding true happiness. Perfect for fans of Katie Flynn and Cathy Sharp.